Please note-- This is the final Tuesday bird walk of the season. The Tuesday bird walks will resume on September 5, 2017. Great Blue Heron were seen on the marsh. Tree Swallows, Barn Swallows and Violet-green Swallows flew overhead. 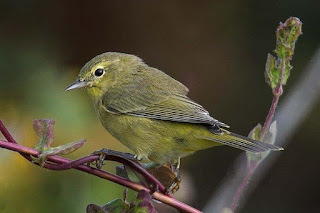 Warbling Vireos, a Hutton’s Vireo and Cassin’s Vireos were heard and seen just off the trail. 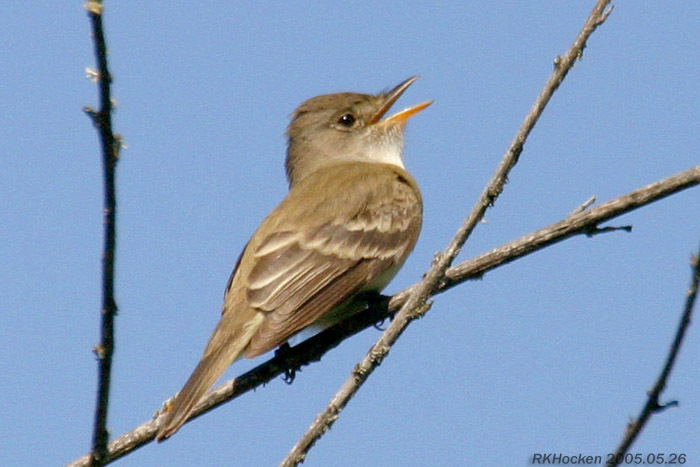 We had great views of several Willow Flycatchers perched and singing along the marsh. 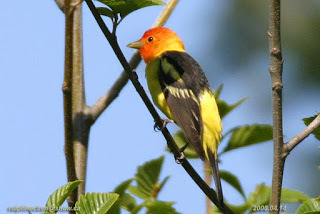 We heard and then saw a Western Tanager at the top of a conifer tree. The Tuesday bird walk went to the Little Qualicum River Hatchery in Qualicum Beach. The morning was mostly sunny with calm winds. Canada Geese,four White-wing Scoters, a Common Loon and four Killdeer were seen at the Brant viewing platform. An American Dipper was seen on the river searching and finding food. We saw an adult Red-breasted Sapsucker and a fledgling Red-breasted Sapsucker on a tree just off the trail. Several Black Swifts, a Vaux’s Swift and many Violet-green Swallows flew overhead during the morning. 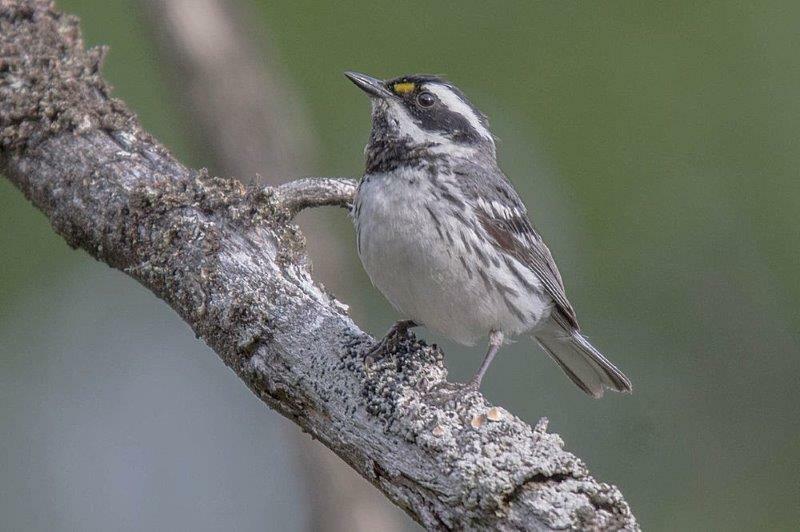 Yellow-rumped Warblers, Orange-crowned Warblers, Pacific-slope Flycatchers, Willow Flycatchers and Warbling Vireos were heard during the walk. A family of Western Tanagers were spotted flying just off the trail. A Common Yellowthroat, a Wilson's Warbler and a Yellow Warbler feeding near the trail. Two Red-tailed Hawks were flying high overhead at the end of the walk. The Tuesday bird walk on June 27,2017 will be going to Lot Ten in north Qualicum Beach. Meet at the Parksville Community Park at the parking lot next to the Lions Club Kids playground at 9:00 a.m. or at the parking area on the forest side of highway 19a on Kinkade Road at about 9:20 a.m. This will be the last Tuesday Birdwalk until September 5, 2017. Join us for the Sunday Bird walks in Nanaimo for the summer. 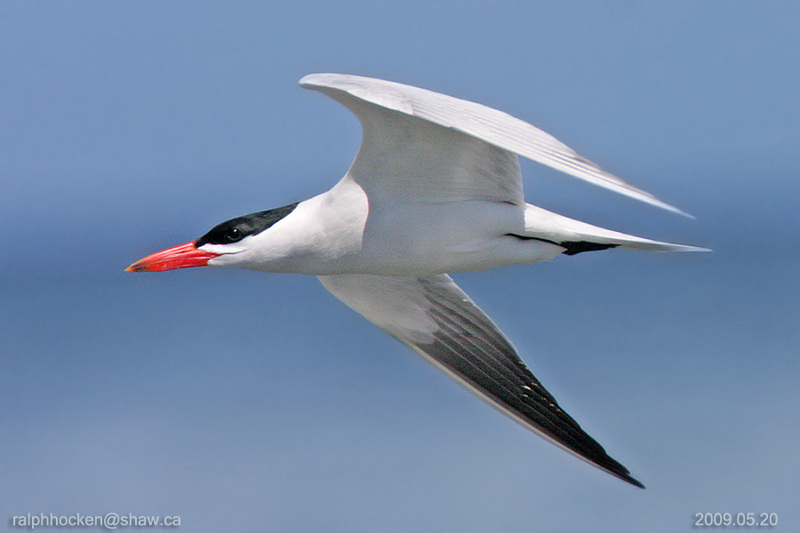 The Sunday Birdwalk on July 02/17 will be going to Neck Point Park in Nanaimo. Meet at the Birdstore at 9:00 a.m. or at the parking lot at Neck Point off Hammond Bay Road at about 9:20 A.M.
four White-wing Scoters, a Common Loon and four Killdeer were seen at the Brant viewing platform. An American Dipper was seen on the river searching and finding food. We saw an adult Red-breasted Sapsucker and a fledgling Red-breasted Sapsucker on a tree just off the trail. Several Black Swifts, a Vaux’s Swift and many Violet-green Swallows flew overhead during the morning. Yellow-rumped Warblers, Orange-crowned Warblers, Pacific-slope Flycatchers, Willow Flycatchers and Warbling Vireos were heard during the walk. A family of Western Tanagers were spotted flying just off the trail. 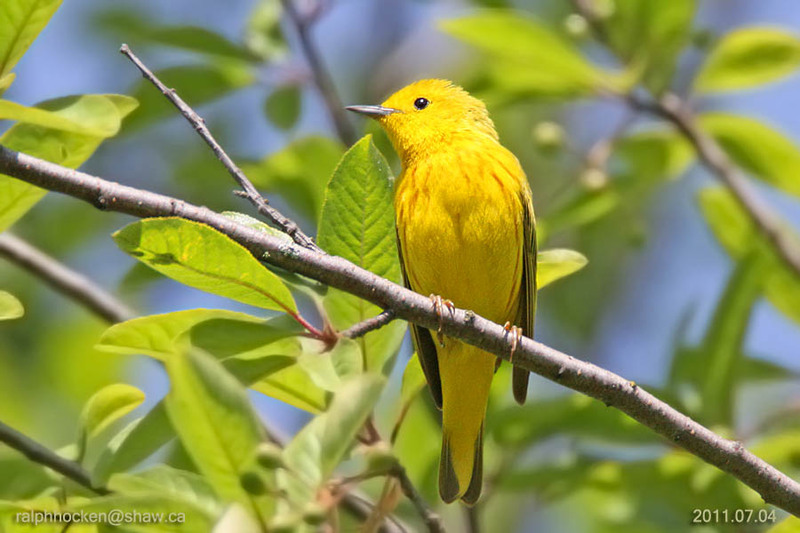 A Common Yellowthroat, a Wilson's Warbler and a Yellow Warbler feeding near the trail. Two Red-tailed Hawks were flying high overhead at the end of the walk. The Tuesday Bird Walk on June 13, 2017 went to Rathtrevor Beach Provincial Park in Parksville. The morning was cloudy with a strong wind off the Strait of Georgia. Four Black Swift were seen hawking insects high above us at the beginning of the walk. Two Caspian Terns were spotted one was resting on a gravel bar and the other one was plunging in the water further offshore in search of prey. Two Pigeon Guillemots and an Marbled Murrelet were seen further off Shore. A Great Horned Owl was seen at the end of the walk being mobbed by a flock of American Robins. The Sunday bird walk went to Hemer Provincial Park in Cedar. The morning was mostly sunny and the winds were calm. We had great views of Pacific-slope Flycatcher and Willow Flycatcher at the start of the walk. Two Cedar Waxwings flew in close to the trail and perched for us all to see. A Chipping Sparrow was perched and singing from the top of a tall bush. A Peregrine Falcon was seen at Cobble Hill. 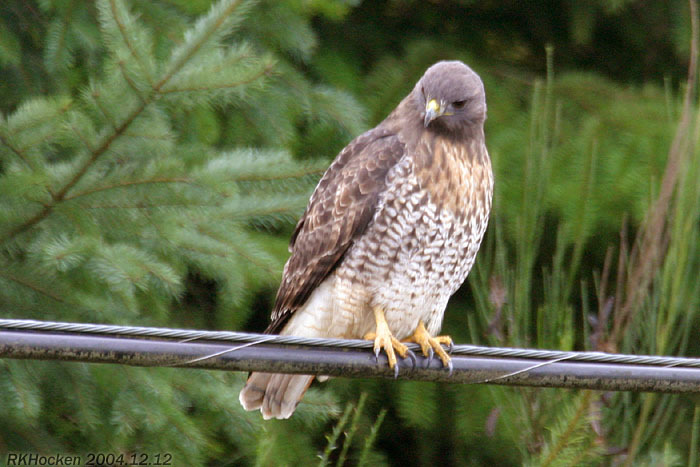 Two Red-tailed Hawks were seen in Ladysmith. A Great Horned Owl was seen roosting in a tree in a backyard along Rosstown Road in Nanaimo. Flocks of American White Pelicans were seen along Lantzville Beach off Sebastian Road in Lantzville. A flock of American White Pelicans were seen flying past Blueback Drive in Nanoose Bay. A flock of American Pelicans were seen flying by Front Street in downtown Nanaimo. Several reports of a flock of American White Pelicans were seen at Craig Bay in Parksville. The Tuesday Bird Walk on June 6, 2017 went to the Shelly Road side of the Englishman River Estuary. The morning was sunny & warm. The highlights included seeing Yellow Warblers, Willow Flycatchers, Pacific-Slope Flycatchers, Savannah Sparrows & a family of Barred Owls. A Common Nighthawk was seen flying over Honeysuckle Terrace in Nanaimo. The Tuesday Birdwalk on June 13/17 will be going to Rathtrevor Beach Provincial Park in Parksville. Meet at The Parksville Community Park at the parking lot in front of the Lion's Playground at 9 a.m. or at the main parking lot at Rathtrevor Park at 9:10 a.m. The Sunday Birdwalk on June 18/17 will be going to the beaver ponds in Nanoose Bay. 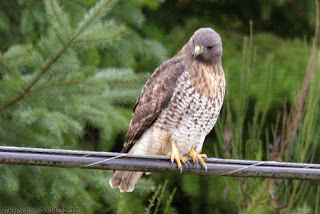 Meet at the Birdstore at 9:00 a.m. or at the parking area off Power-Point Road about one hundred yards past the four way stop at about 9:25 a.m.